Joe Dewhurst completed his PhD at the University of Edinburgh in 2017, where his doctoral research focused on the relationship between common-sense intuitions and scientific theories in contemporary cognitive science. Prior to joining the MCMP he worked for two years as a teaching assistant at the University of Edinburgh (2016-18), and before that he received an MA (2012) and an MSc (2013) from the same institution. In June 2018 he was a visiting Junior Fellow at the Ruhr-Universität Bochum, working with members of the Situated Cognition RTG. He grew up in Oxford, which he still enjoys visiting, although other academics often find it confusing that he didn’t study there. Joe is currently working on developing a moderately perspectival account of mechanistic functions in biology and cognitive science. 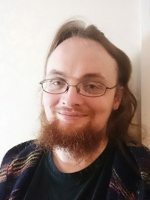 His research interests also include the philosophy of computation, the philosophy of mind and cognition more generally, and the history of cognitive science. He is involved in several ongoing collaborative projects concerning the relationship between folk psychology and decision theory, the relationship between consciousness and predictive processing, and relationship between enactivism and computational cognitive science. 2018. "Individuation Without Representation." British Journal for the Philosophy of Science, 69/1: 103-116. 2018. "British Cybernetics." In Sprevak & Colombo (eds. ), The Routledge Handbook of the Computational Mind. Abingdon: Routledge. 2017. "Folk Psychology and the Bayesian Brain." In Metzinger & Wiese (eds. ), Philosophy and Predictive Processing.